Are you a helper or an achiever? A challenger or a peacemaker? 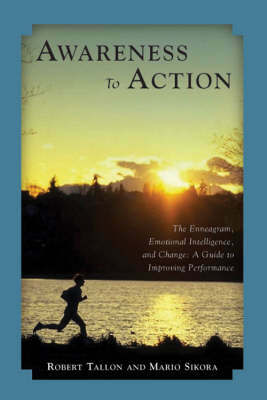 Awareness to Action explores the nine distinct, yet interconnected personality types of Enneagram theory, which uses a nine-pointed figure to illustrate the relationship between an individual's dominant personality and the other types that comprise the structure. Mario Sikora and Robert Tallon explain the characteristics of each personality and show how a person can capitalize on their strengths and weaknesses, charting a specific course for personal growth. They discuss practical topics such as relationship building, conflict resolution, and personal development, information that will not only be of interest to individuals seeking a greater understanding of self, but to managers and human resource professionals as well. "Awareness to Action provides simple and practical pointers for individuals, as well as important team building insights that will enable organizations to create more productive and balanced teams." --Tom Forst Corporate Vice President, Lincoln Investment Planning, Inc.